Quer anotar suas Receitas de Natal num lindo livro? Ou anotar Receitas de Família? Dar de presente? 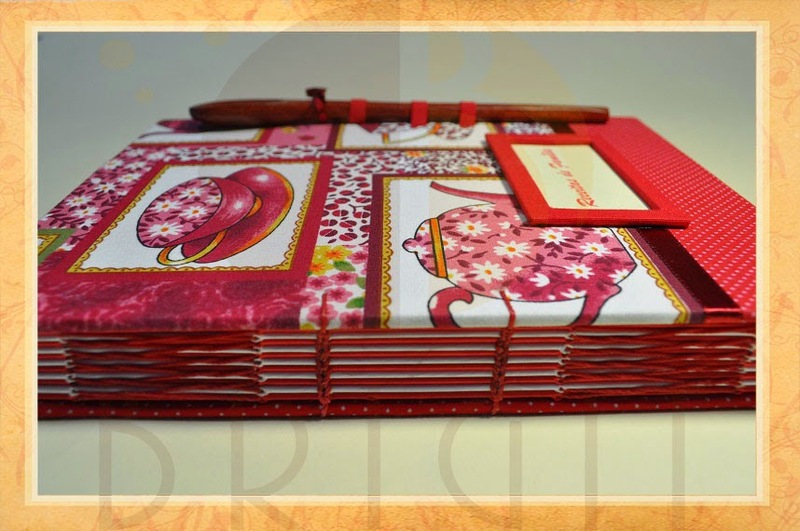 Wanna write you Christmas Recipes in a beautiful book? Or write down Family Recipes? Give as gift? 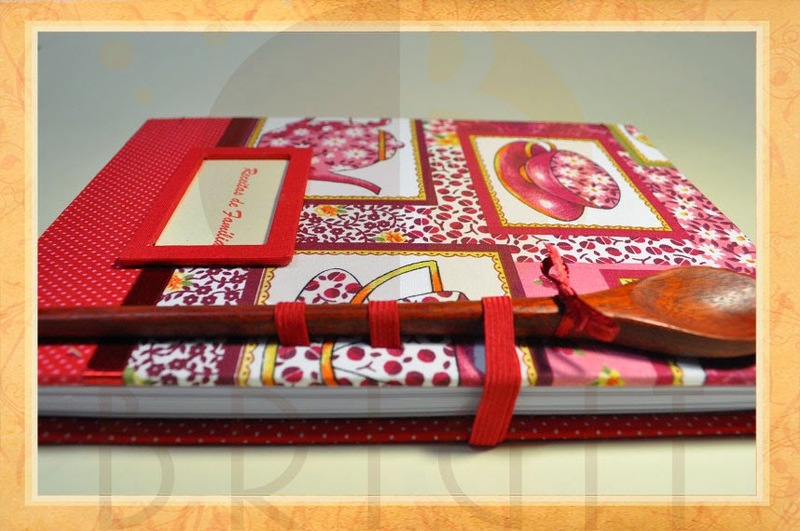 Each book measures 17cm x 22.5 cm with 3cm thick and weights 450 grams. 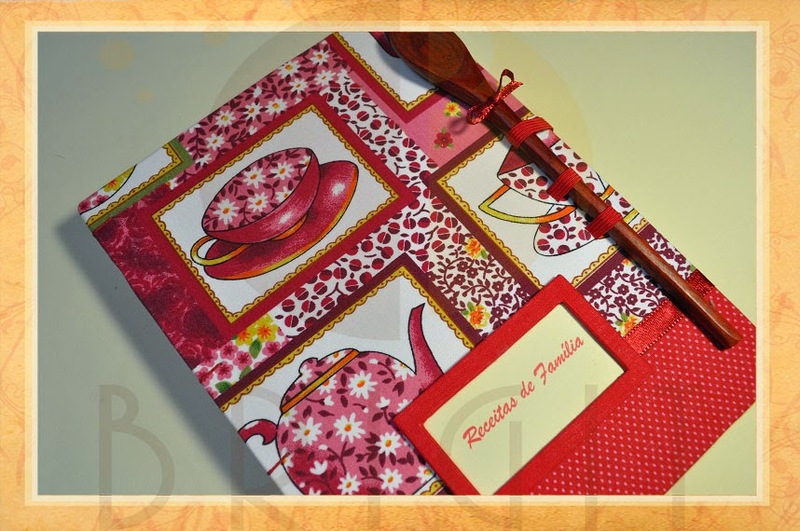 The front cover is in 100% cotton fabric printed with motifs of cups; the back cover is a red cotton fabric with white polka dots. There are 88 sheets in total, ie 176 pages of white offset paper 120g / m², with acolorful concertina on the spine. O fechamento é feito com elástico e colher de pau, e você pode substituir a colher de pau por uma caneta e usar a colher para cozinhar! The closure is made with elastic and wooden spoon, and you can replace the wooden spoon for a pen and use the spoon to cook! The Leaf Guard is also in Color Plus, with matching colored hood. 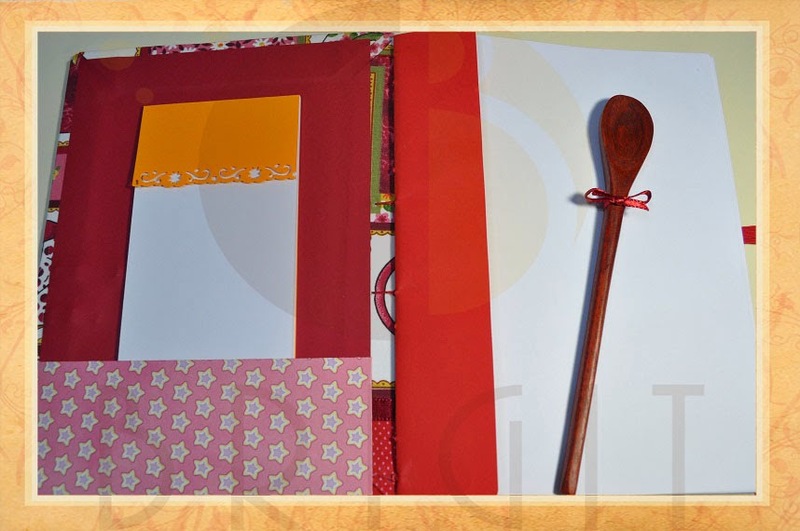 There is a pocket in the front cover for loose papers, and also a notepad to jot down a few recipes and write them later in the book. 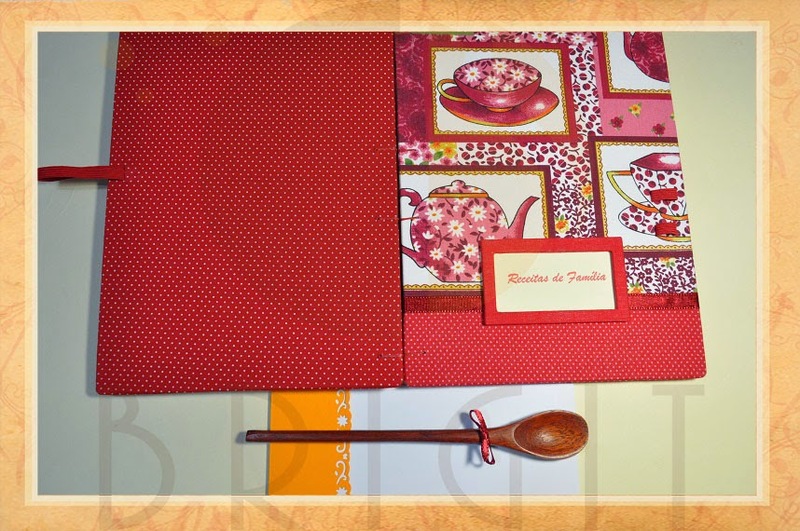 Acompanha o livro: uma colher de pau pequena e um bloquinho, conforme as fotos. Fully opening 360º, allowing the book to stand. 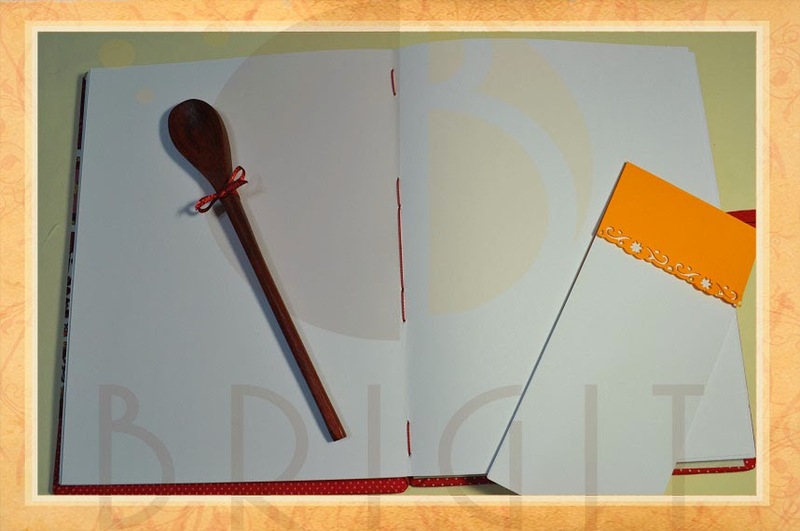 Accompanies the book: a spoon, and a small stick pad, as the photos.